Increasingly, and maybe falsely, I sit in front of the alter I do the meditation at and relax. Before I start on the meditation, I am having a chat, a chat with Ganesha. I don't know if I am having a conversation other in my head with myself and this does not matter. They are helpful, usually he will strongly urge to have the conversation before doing the Mala work. Often we are talking about life, Vodou ( ironically enough ), magic, and moment. He does not offer solutions usually, only questions and compassion. As many people know I am a Vodou priest, and as Erzulie Freda in possession pointed out, I often know things ( regarding spirits) that others do not. This is not arrogance or bragging. I sometimes have trouble hearing the spirits, but I always know when they are around and usually its verifiable with other people. This ability has been demonstrated over and over. In a recent Vodou ceremony, Erzulie correctly outed me on this. But the conversation always goes weird. Crystal clear now, and never demanding ( other then to keep doing the training). I do not know how much is external or not, and I am not sure in Hindu thought this is a question that should even be asked. The last time, He pointed at every single spirit in the room and told me, you know they all love you and walk with you. Of course, that was good to hear. It was more specific as well. Naming times, I served them. Not times, when I had "given them" formal service, but times that their children( those are people in Vodou) came to me and asked for help, and they asked me to help... and I did. Sometimes with people who had very little, sometimes the help was at great risk and I would do it. So he was right, in my conversation with myself the universe and all. Sometimes I will act and let the spirits do nice things for me. Then there is alot more people, who expect me to do more then I promised, for free. That gets to me, they are the majority. I know I can work miracles more often then not ( although sometimes they take longer or come out differently then I expect), but there comes a point when the chorus of do it for free people, and people expecting you to fix everything with one spell, as well as people asking for readings only to go "reader" hoping till they hear what they want to hear. Its a type of spiritual vampirism stemming from the post-charmed nihilism of willfully ignorant masses that prefer to believe magic is just a fast fix pill, just like every other condition. It got to me, it added to the resentfulness I am letting go of. Frauds in metaphysics are making alot more money selling the snake oil or vigorously attacking people. Yes the miraculous is possible, and yes miracles are possible and yes great healings, luck and more is possible. It all takes work though... the magic combined with the life work opens the door to greatness.... usually a person doing the work, or having someone else do the magical work combined with doing the needed physical steps will just start rolling in synchronicity. Many of the people who would sell that snake oil of them as the messiah, well they do get more money.. but its just that. All magical changes to physical reality takes work. 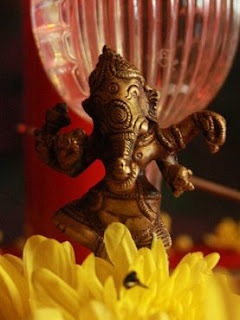 Ganesh is just trying to get me to know that there is much synergy between person, spirit, and those who support me, and to let the others roll along the road. I am very grateful to the LWA, and my ancestors. I am very grateful to the people who have helped me. I am grateful to the opportunities I have had. Sometimes, I just forget that... and focus on the vampirism instead of the good work that occurs.